In early 1940 the United States Army Air Forces challenged several aircraft manufacturers to come up with a bomber with a speed of 400 mph, a range of more than 5,300 miles and the capability of carrying a bomb load weighing 2,000 lbs. for at least half of that distance. Boeing won the contract with its design for the B-29, a plane that would ultimately play a decisive role in bringing an end to the war in the Pacific. The giant B-29 or Superfortress as it was known, spanned 141 feet, 3 inches from wing tip to wing tip and measured 99 feet from nose to tail. Its 27-foot nine-inch high tail turret was, as Boeing publicists liked to remind the public, the height of a three-story house. 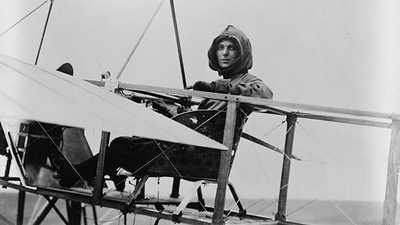 Boeing fitted the plane with a number of novel features, including pressurized compartments. Pressurization meant the planes needed a remotely controlled gun system since crew members couldn't sit in the gun turrets as they did in unpressurized aircraft. 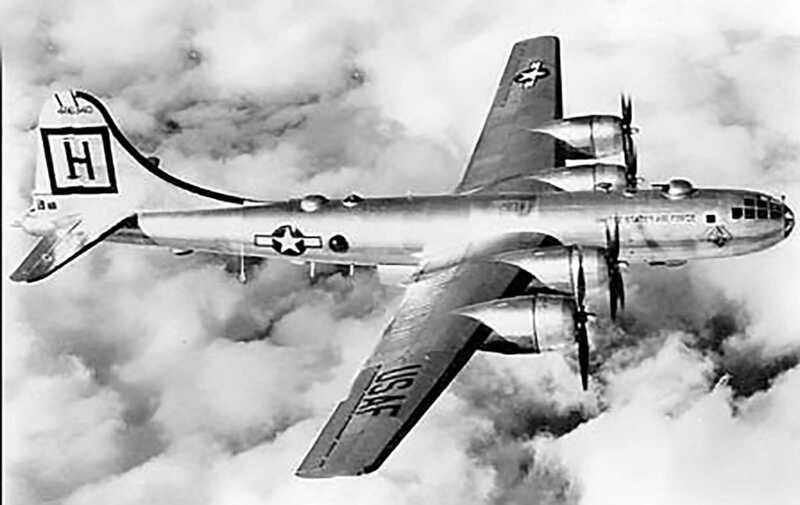 In order to meet the Army's requirements for range and bomb load, the B-29 had to be heavy - it was the heaviest production airplane in the world at that time. The bomber also had two bomb bays, which were designed to release bombs alternately so that the aircraft's balance was maintained. After the war, some B-29 bomb bays were modified to carry research planes that were launched from the air. The B-29's most infamous World War II missions were the two atomic bomb drops on Japan in August 1945. By that time, the Superfortress had been in operation for more than a year. First used in an attack on Bangkok in June 1944, they shortly afterwards became part of a concentrated bombing campaign on the Japanese mainland. In the last months of the Second World War, General Curtis LeMay took command of this air war. He ripped out the armaments on 325 B-29s, loaded each plane with firebomb clusters and sent them out night after night over Japanese cities. After months of this concerted fire bombing campaign, flames had totally or partially consumed 63 Japanese cities, killed half a million people and left eight million homeless. On August 6, 1945 a specially modified B-29 took off from the runway on the Pacific Island of Tinian carrying the first of only two atomic weapons ever to be used in war. 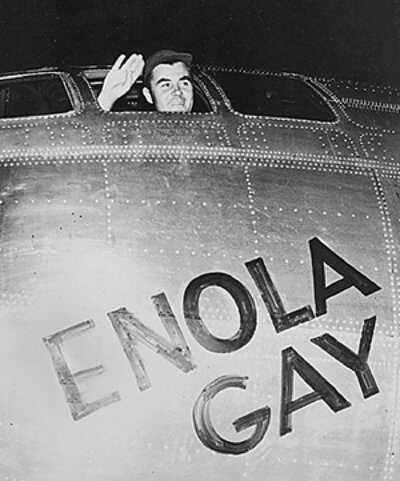 Piloted by Lieutenant Colonel Paul Tibbets, the "Enola Gay" headed for Hiroshima. 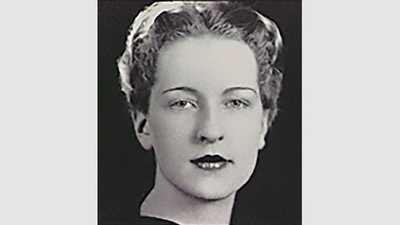 At 09:15 local time, the bomber dropped its deadly 9,000-pound weapon over the Japanese city. By years end 140,000 people had died from the attack. Three days later a second B-29 carrying an even more powerful atomic weapon destroyed the Japanese city of Nagasaki. Just five years later, with the surprise North Korean attack on South Korea, the B-29 would once again play a decisive role in combat. During the 37 months the plane saw action, it was involved in more than 21,000 bombing sorties. All told, B-29s dropped more than 167,000 tons of bombs, during the conflict, 20,000 tons more than had been dropped by the bomber in World War II. 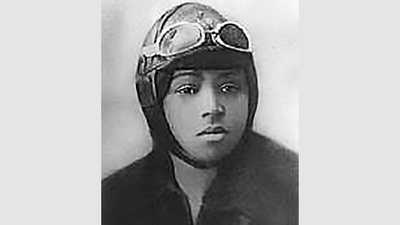 Fort joins the Women's Auxiliary Ferrying Service to fly planes from factories to military air bases, and tragically becomes the first American woman to die on active military duty.